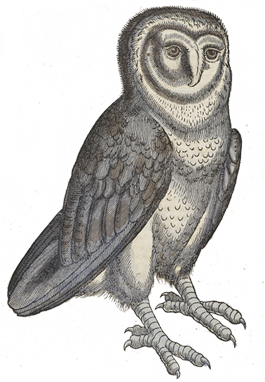 The University of Toledo Libraries, along with our partners Toledo-Lucas County Public Library, are proud to announce the exhibit Harry Potter’s World: Renaissance Science, Magic and Medicine. The exhibit, which was created by the National Library of Medicine, consists of six banners that explore the link between Harry Potter and the history of science. Visitors may view the exhibition at the Carlson Library on UT’s Main Campus from March 12 to 29 and at the Mulford Library on the Health Science Campus from April 3 to 20 during library hours. In celebration of the exhibit the Carlson Library will host Lightning Strikes, a wicked-fun event for all ages on March 16, from 4-6pm. The event is free and open to the public and will feature Potter-themed games, activities, prize drawings and refreshments. A lecture series, also open to the public, will be held on both the Main and Health Science campuses. These one-hour talks given by UT professors from the fields of medicine, law, literature and philosophy will discuss some of the themes found in the Harry Potter novels. For lecture series dates, calendar of events and more information about the exhibit (including directions and parking), please visit http://libguides.utoledo.edu/harry. Questions can be directed to Bridget Faricy-Beredo at 419-383-4214 or bridget.faricy@utoledo.edu.